The 455 Integrated Voice Technology (IVR) service provides private and government organizations a centralized hub for customer service, entertainment and marketing information. Customized content is created for each organization as well as a 455 with a unique 4 digit extension, saving organizations the hassle of creating their own call center or information distribution points. 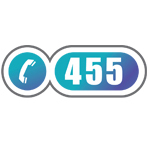 455 is useful for a range of business including hotels, airlines, banks and retailers.